At this spa resort, Premium Rooms are located in a cluster of ten villa-like structures. 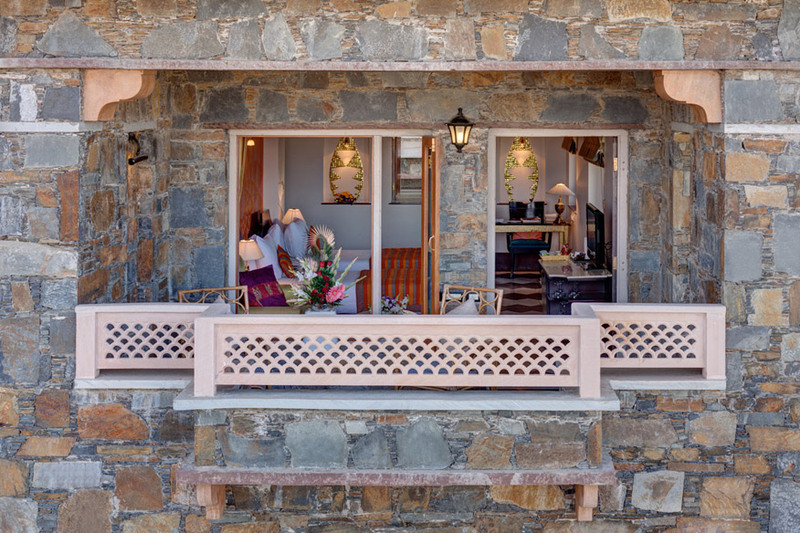 They offer breathtaking views of either the Aravalli hills, the Central Courtyard, the Monsoon Palace or Lake Pichola. 555 sq. ft. in area, the rooms are designed and conceptualized on the Sunrise and Sunset theme. These rooms are facilitated with a private sit out too. Here, you can enjoy the warmth of Udaipur as the first and the last golden rays of the sun enter through the exquisitely designed windows. The rooms are appointed with options of king sized or twin beds. These luxurious rooms are spacious and offer a seating area and a spacious bathroom with a vanity counter, a bath tub and a shower cubicle and a walk-in wardrobe.